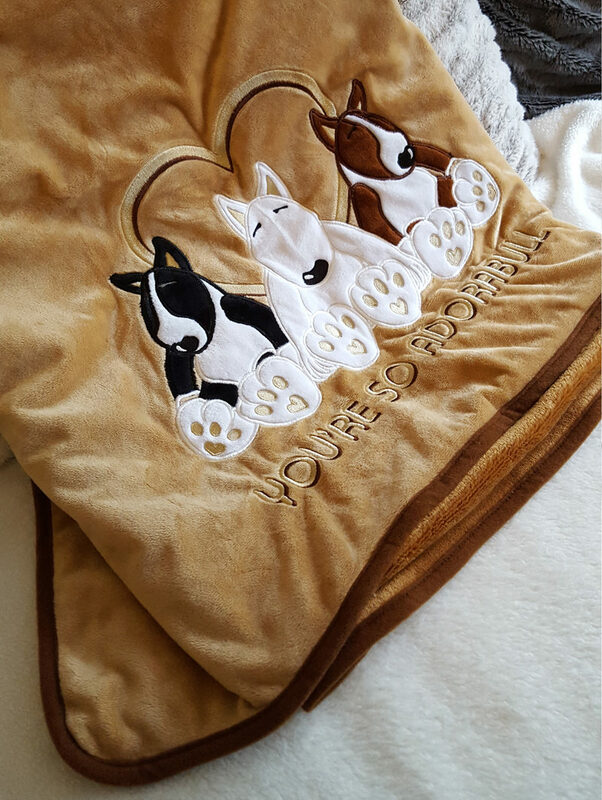 Keep your little one warm with this supersoft cosy huggable 100x75cm blanket! 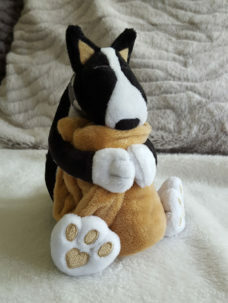 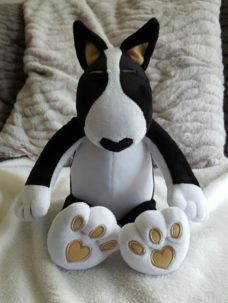 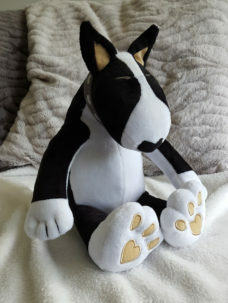 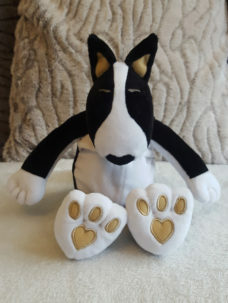 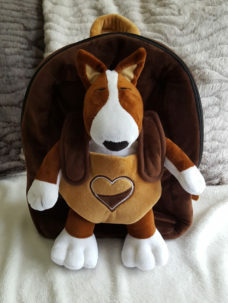 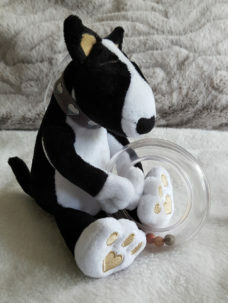 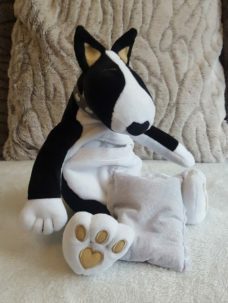 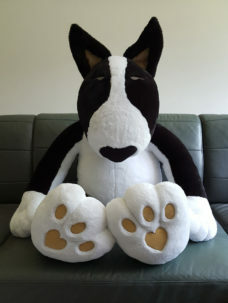 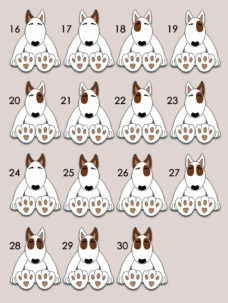 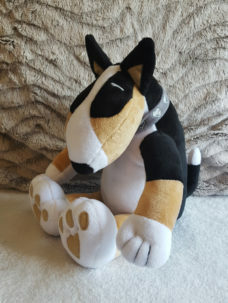 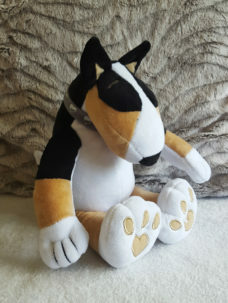 HUGGABULLZ specializes in designing, manufacturing and selling soft stuffed Bull Terrier toys, especially made for babies and kids. 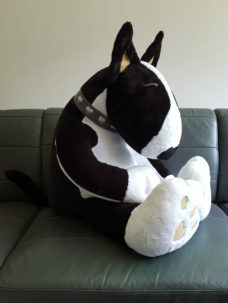 Though we have been told by many grown-up hoomans that they adore our huggable Bullies as well! 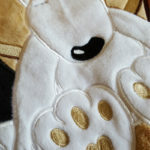 All our items are handmade with the utmost care and effort. 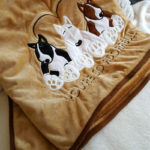 The best quality materials are used for production and we make sure that every item is tested and cleaned before packing. 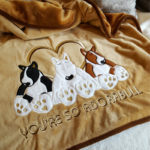 All our items meet the highest standards and are EN71 approved. 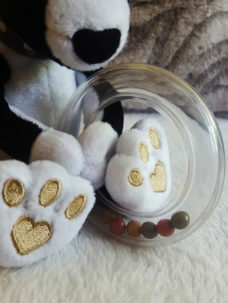 We advice to wash the items by hand with a mild soap rather than by machine. 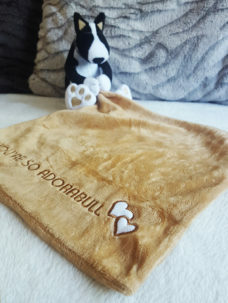 Do not tumble dry! 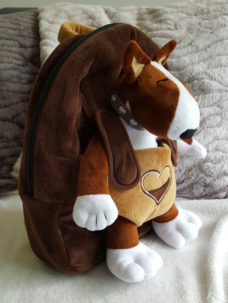 Last but most certainly not least: we do not support or approve the use of child labour in any way!